With the recent fear and excitement around Fortnite’s overwhelming popularity and the timing of the World Health Organization’s classification of a “Gaming Disorder”, It’s a great time to gain a little clarity around the video game debate. Personally, I’m interested in understanding the perspective of both sides of the debate so that we can truly learn from the exercise. With anything as complex as this topic, the truth often lies somewhere in between. So here’s the all important question: How often do you critique our own beliefs? For most of us the answer will be “not very often”. One reason for that is because our beliefs are essentially on autopilot. They are habits of thinking in a certain way, conditioned over our entire lives. So in this case I might have been conditioned to believe that games are bad or that games are good over a period of time, and adopted whatever reasoning I was first introduced to. With Fortnite’s massive popularity making it the target of a lot of fear mongering media coverage, there have been a lot of people jumping on the bandwagon and taking on generally negative bias toward it without ever having played it themselves. Is that rational? What are your beliefs about the role of video games in our lives? When it comes to hot debates, we usually see a competition between two polarized points of view rather than a truth seeking exercise. Ego’s are at stake. People want to feel that they are right and that the opponent is wrong. I’m not even sure that people in a debate care if they convince the other side of their views. That’s why we sometimes see logical fallacies and irrational behaviours such as the Backfire Effect. The Backfire Effect is basically when someone tries to convince someone else that their beliefs are wrong by presenting an argument but it backfires. Even in the face of valid evidence, they dig in their heels and double down to defend their belief systems rather than listen to the opposition and re-assess if their beliefs still hold up. The motivation for the backfire effect is ego preservation, not truth. It’s a kind of blind faith that you are right because being wrong feels bad. The Backfire effect shuts down conversations. You simply cannot get anywhere unless you are open to learning from the opposing point of view, even if your opinion remains unchanged in the end. That’s the problem with debates. The aim of a debate is to win. You have to use logic and reasoning skills to persuade the judges. Using logic doesn’t mean that your assumptions are correct, so you can be logical and still be wrong and that is very difficult to see in ourselves. If you are open to challenging your assumptions then we have a starting position for a rational conversation that seeks the truth about the video game debate. For the sake of clarity, the use of the word “gamer” will refer to anyone playing a game, not only someone who plays excessively. The video game debate is generally divided into two camps. The first camp is comprised of people who don’t believe there is a problem that needs to be dealt with. A lot of those people are going to be gamers of all ages. The second camp is comprised of concerned adults, including a lot of parents who believe that gaming is a negative influence, addictive and generally bad for you. Worries that gaming is addictive and causes young people to be aggressive and disengage from their lives(school, activities, socializing). They think gaming will result in unhappiness. Both sides of the debate believe they are thinking about what’s best for the gamer’s wellbeing, but disagree on how gaming affects it. The other obvious thing that they disagree with is the amount of gaming that is acceptable before it’s considered overplaying. 20 year old me would have definitely been on the gamer side of that argument. I was stubborn and wouldn’t listen to my parents who saw me more irritable and less engaged with my responsibilities. I didn’t have a gaming disorder, but I was certainly overindulging. I think a big part of my defensiveness was because my parents didn’t know anything about video games and didn’t understand what I was doing. When they told me to stop and do something else, it seemed inauthentic to me. I became defensive and I wasn’t open to hearing anything negative about something I felt so invested in, so I completely overlooked the valid points they were making. I dug my heels in even in the face of evidence that there was some level of negative impact for a while before I could see where the truth was in their perspective. It should go without saying that not all gaming is problematic, but it’s a fine line that separates passion and compulsion. With the new classification of Gaming Disorder being thrown into the mix, we are at risk of misunderstanding the bigger picture. In my experience working with teenage gamers with excessive gaming habits, many have problems self-regulating so they overindulge. For them, a few simple changes in the way we meet our psychological needs can help us regain balance and still enjoy our gaming. That’s where self-regulation strategies make a difference. However, in a lot of the really extreme cases for gaming, some people escape into their video games because they are seeking relief from pain. That pain can be physical, emotional or mental, but in my experience, the cases that would likely get the new Gaming Disorder diagnosis will quite often have an underlying trauma or mental health struggle at its core and then the overindulgence and self-regulation issues are stacked on top of that. For these cases, playing video games are a coping mechanism, or a way to self-medicate. To see game design as the sole cause of problematic gaming behaviours is too short sighted and the debate can easily distract us from the underlying cause of extreme cases that people fear. If the main concern of the video game debate comes down to motivation and wellbeing, let’s have a look at what contributes to these things. So if those are the assumptions we make about improving our wellbeing, these are the things I think people should be aware of in the video game debate. 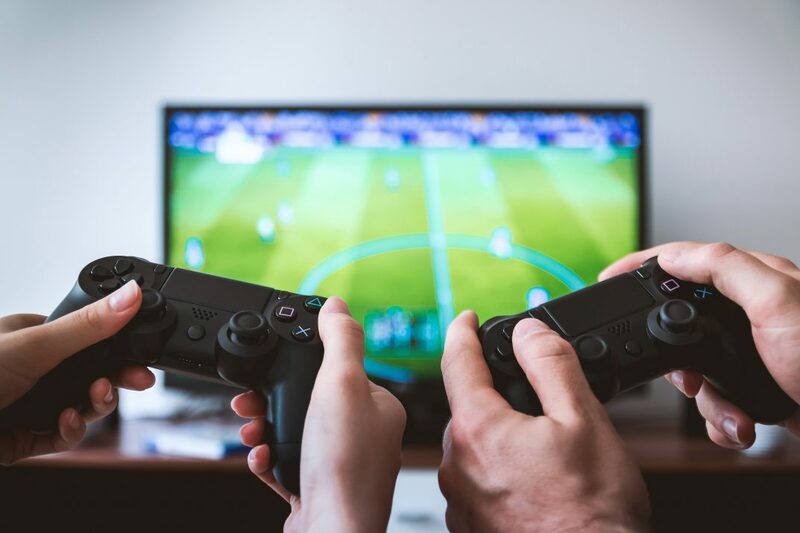 An Oxford study by Dr. Andrew K. Przybylski revealed that playing video games about 1 hour each day can enhance your wellbeing. Also, there is a clear law of diminishing returns because the study also reported that over 3 hours per day correlated with a negative effect on wellbeing. Anecdotally, this is what I see in my work as well. I believe there is a gaming sweet spot that exists and you can check it out here in the Intelligent Gaming Guide. The average gaming time for Australian boys 15-24 years old is over 2.5 hours each day. It’s not quite at the critical number that Przybylski mentioned, but it’s not far off. Personally, I promote 2-3 hour sessions for teens so that they still feel satisfying, however I suggest a maximum of 4 days a week for the sake of performance, enjoyment and satisfaction. That is a lot less than the average, but the gaming remains enjoyable and skillful. In my opinion, kids under 12 should probably be playing under 10 hours a week, and the content in those games should be age appropriate. Individual motivation plays a big part deciding how games are played. I may play games that focus on skill and mastery, while the next person may be motivated to explore worlds, make choices and role play in a story. If video games help me to hit the needs listed above more quickly and easily than my real life does, then I will gravitate to gaming. Games can hit many motivational needs, but what makes it different from how real life meets these needs is how easily and frequently we can access these rewards when our needs are left unsatisfied. Low effort and high reward? That in itself can motivate us to play excessively. However, gaming isn’t quite enough to meet those needs fully. Real life is higher effort but it’s also more fulfilling. Game design varies from game to game, genre to genre. Some games actually make the experience motivating but painful so that they can encourage you to relieve that pain by spending money. These games might be crossing an ethical line, but not all of them are. Some of the most popular competitive games do not use these mechanics. Typically we don’t see this in competitive games, we only see the ability to purchase cosmetic items. It’s important to know that some in-game purchases are harmless and some play on psychological pain points. Some gamers may find that they are stuck in a ludic loop. These are the variable reward loops that keep you doing the same thing again and again because you get just enough reward to keep you trying for it. There is a sense of hope for the future reward it might bring you. Not knowing when that reward is coming is quite motivating and we also see this effect in gambling, most commonly with slot machines. Overplaying can have a detrimental effect on wellbeing. Not just because of the disconnection from real life and desensitization to rewards, but it also makes video games more difficult to enjoy. For example if someone is getting frustrated during their game play on a regular basis, we can see it in the behaviour outside of gaming. This happens subtly and most gamers won’t notice the difference unless it’s brought to their attention. On the other hand, concentration fades over time, and gamers who overplay may not be noticing that their performance is getting worse over time and that is causing frustration and other negative emotions. If there is an underlying mental health struggle, video games are an easy way to escape, but it’s not an effective coping mechanism. It will mask the true problem and potentially add another problem on top. It is essential to deal with the core issue if it exists. Deal with the root or the weed will grow back. I am open to re-assessing my beliefs about best practice and my programs are constantly evolving as I do. However at this moment in time, I think that there is a sweet spot for gaming where we can reap the benefits without hitting the law of diminishing returns. In the vast number of experiences that you can enjoy in your weekly routines, it’s good to know that gaming can be the icing on the cake, just remember that it’s not the cake itself. GameAware offers parent education, professional development, social gaming programs, holiday programs to help restore balance and improve self-regulation, and finally an affordable online resource for families and professionals to become game-aware in 6 weeks.